Translation collaboration is important functionality in cloud-based language translation software. It enables you work on translation projects with others within a central hub, whether you sit next to each other in an office or are separated by an ocean. Great translation software should not only make easy translation collaboration possible, but it should also save you time and reduce your translation-related costs. After all, software should always increase efficiency. One way it should increase your efficiency is with integrated translation memory technology. Translation memory makes it so that neither you nor your colleague never need to edit the same phrase twice. 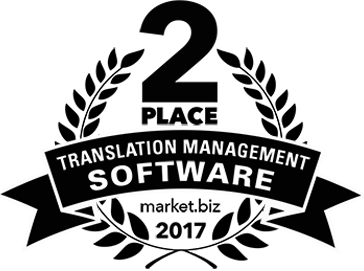 However, translation memory is only going to save you time/money if you machine-translate within the software AND post-edit machine translations within the software. 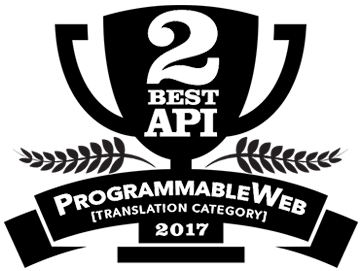 This is how our web-based translation management system will learn your words and phrases for future translation projects. In this post, we are going to delve deeper into why you must collaborate on editing translations within Pairaphrase if you truly want to benefit from the cost-savings that come with the translation software. What’s more, we’ll tell you how to do it. In order to yield the 50% time savings (and the cost savings that follow) quoted by Pairaphrase users, you must edit machine translations within the Pairaphrase interface. If your team can relate to any of the following scenarios, you are misusing translation collaboration. This means you won’t reap the benefits of the translation memory technology within Pairaphrase, while you could have been saving significant time and money! Do any of these scenarios sound like your team? ➞ You’re in Pairaphrase and you download the “first draft” translated file that Pairaphrase has created for you using machine translation (and any translation memory that exists in your account). You send it to your colleague via email attachment. They post-edit within Microsoft Word. Then, they send it back to you via email or they upload it to Pairaphrase. ➞ Your colleague uses the “Share” button within Pairaphrase to invite you to collaborate on a “first draft” Pairaphrase-translated file. You enter Pairaphrase and download the file. Then, you post-edit the file within Microsoft Word and re-upload it to Pairaphrase or send it to a colleague via email. ➞ You roughly translate the text using an external machine translation tool such as Google Translate, then upload it in a file to Pairaphrase. Then you invite your colleague to edit. ➞ You use Pairaphrase’s File Translator and you edit the file within Pairaphrase (which is good! ), but then you don’t click “Save” after post-editing the translations you make within the Translation Editor. The translation memories aren’t being saved. If any of the above scenarios sound familiar to you, your team isn’t using Pairaphrase correctly. In fact, you’re creating more work for yourself in the future because you’re not allowing the software to record your edits into the translation memory. ✓ Always machine-translate first within Pairaphrase (not externally on Google, Bing etc). ✓ Always use the “Share” button next to a translated file within Pairaphrase to invite colleagues to collaborate on post-editing a translation. ✓ Always post-edit translations within Pairaphrase each and every time. ✓ Always click the “Save” button in the Translation Editor after post-editing a translation. Questions? Contact us today to learn more about how to get the most out of Pairaphrase to reduce your translation-related costs.